June 2012 - Radii | Go Digital. Go Radii. Does Your Site Copy Make These 7 Common Mistakes? It's true--content is king. The power to make or break your website, to land or lose a lead, lies in the copy. When a potential client lands on your website, an impression will be formed in their mind within seconds. Studies have shown that the very first thing a visitor notices is the design and overall aesthetics of the website--which can certainly be impressing itself--but the ultimate deciding factor is the message that the copy delivers. As the web continues to evolve and it becomes even more commonplace for businesses of all sizes to have websites, excuses for bad web copy are diminishing rapidly. But what defines "bad web copy"? We've outlined seven common web copy mistakes that can turn away potential clients. 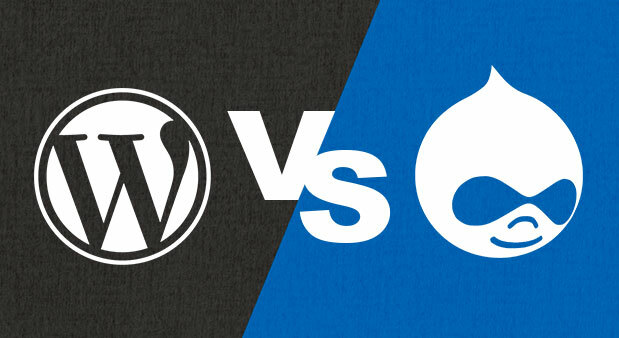 WordPress Vs Drupal: Which Works for You? When you're in the planning stages of a new website or you're thinking of incorporating a corporate blog, the first thing you're likely to do is a quick Google search in the hopes of finding the platform that will suit your needs. Google will display a long list of articles discussing the best CMS or the best all-in-one WYSIWYG editor, usually sponsored by a party with well-defined allegiances. So where should you begin? Let's say you've narrowed it down between WordPress and Drupal. Another Google search will render you speechless at the near-infinite stream of forum threads containing emotionally-saturated discussions, none of which are likely to prove too useful without significant sifting time and an hour or two of therapy. Comparing WordPress and Drupal isn't entirely unlike comparing apples and oranges--but if you're in the picnic-planning market and you need a straightforward fruit, I mean answer, this will help set you on the path to choosing the right one for you. 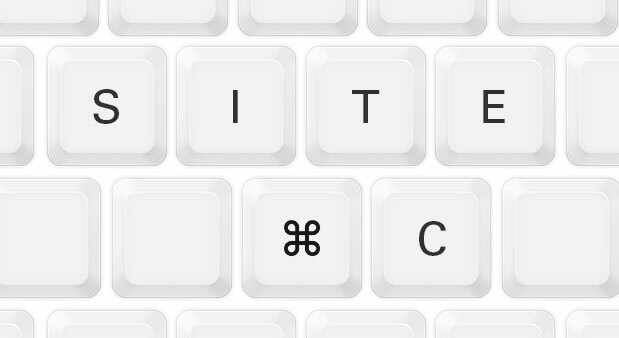 The path to becoming a graphic designer isn't set in stone—some of the best designers in the world come from the strangest backgrounds. For designer David To, visuals have always played an important role in his life, but he started on his journey of artistic expression in photography. Now he applies his skills to bringing the most creative and functional visuals to life on the web. It's human nature that we're interested in the latest and greatest, attracted to recent fads, fashions and subsequent faux pas like red ink edits on the first round of web copy--we're all over it. 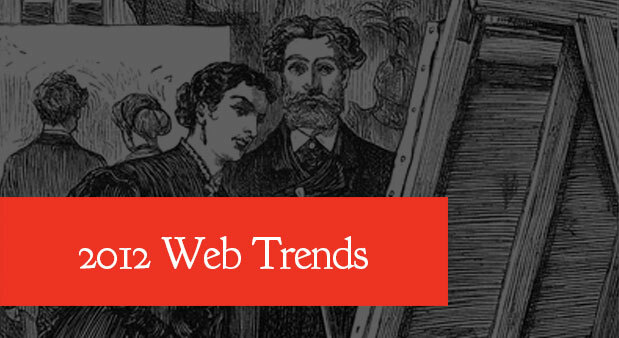 Especially in the web production industry, trends can be a powerful current. The larger the stream, the more the entire river changes its course. Watching trends isn't just for those trying to keep up with the Jones--it's also an invaluable metric for understanding the larger economics at play. When the Web 2.0 look developed, why did glossy, beveled edges and reflections dominate new design? 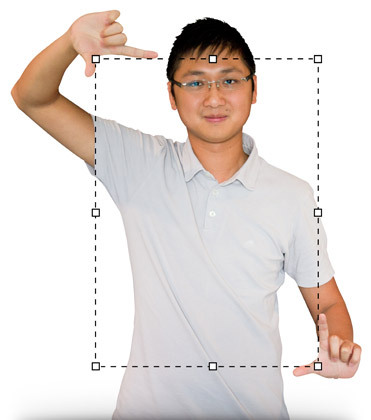 The ease-of-use created by CSS3 has opened the web up to new possibilities. And large footers with sub-menus? New SEO algorithms and a shifting importance on User Accessibility directed designers towards revising traditional elements. We're quite guilty of experimenting with a number of the latest trends ourselves; there's nothing wrong with a fad as long as it doesn't compromise the accessibility of the content. Ultimately, the important take-away from web trends isn't so much about aesthetics as it is about the future of the web and the way we use it. For this reason, we decided to break this topic up into two categories. Trends generally refers to aesthetic treatments or ways of interacting with content, while evolution refers to bigger picture ideas about the way this industry is progressing. In general, there seems to be a stronger focus now more than ever on content on the web. The driving force behind this is that content publishers (authors, bloggers, designers, developers, etc.) now have so little control over how their content is going to be accessed. People might view it on their 2G feature phone, their new iPad 3, their 27" Thunderbolt display, a stripped down version via an RSS reader, Instapaper or Readability, or on a 60" TV through their Nintendo Wii browser. Web designers are being challenged to not only contend with tides of technology, but ride the digital wave as well. Here's the six most prevalent trends we've encountered in 2012 thus far, along with a run through of six evolutions we expect to continue to shape the face of the web.